Large country home located in a great area on 8.38 acres. 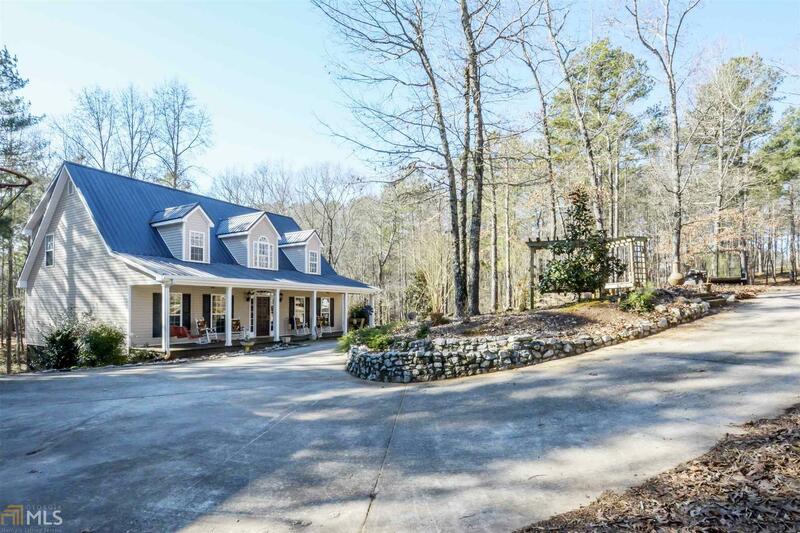 The house is nestled way back off the road and offers a nice private wooded setting. This home offers 3 large over sized bedrooms and 2 bathrooms. Big country kitchen with plenty of cabinets and a walk in pantry. The dining room has French doors leading out onto a private covered deck with beautiful views. The front yard has an arbor with a swing and a large fire pit for entertaining. The unfinished daylight basement is studded for 2 bedrooms, a living area, workshop, and a 3 piece bathroom with functional fixtures in place. Lastly this property comes with a 3 Car Carport and a 30x30 barn that could easily be converted back to a 2 stall horse barn, so be sure and bring the horses!!! !